This week, we'll be enjoying our meal courses fixed by some of the country's greatest chefs for a fraction of the menu price. Over 750 restaurants will be participating in the Dutch National Restaurant Week between March 30th and April 10th. While topping off our tummies, wouldn't it be nice if we could top off our electric tank too? Electric cars have started to conquer the streets. Same goes for charging stations. In addition to residents and workplaces, EV drivers can now charge everywhere they go; shopping centers, theaters, car parks, and even at hotels and restaurants. Pretty much every electric car can charge around 20-25% over lunchtime, so you can easily get to your next meeting without ever worrying about an empty car battery. Providing charging facilities wouldn't only allow EV drivers to find their way to your restaurant, but most importantly, your guests will get what they were looking for - a nice meal. Attract both current AND new guests to your restaurant! Through collaborating with i.e. Google Maps, Yelp, and EV Charging apps such as ChargeNet, EV drivers will soon be able to locate your charging station and restaurant just one tap away. An indispensable feature; you'll be recognized as a sustainable, and climate-conscious establishment that will be remembered every-time the lunch or dinner hour hits. In the EU, EV drivers carry charging cards that allow them to use public charging stations. All of our charging stations are connected with the EV-Box management software, which registers all charging sessions. 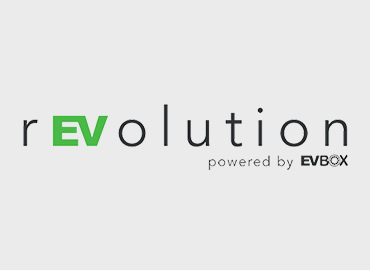 EV-Box settles the charging costs with card holders that have charged at your facility, and you'll receive the revenue made from these charging sessions on a monthly basis. Now you’ll have another source of income in addition to your gourmet cuisine. You get to set up your own start and/or time rates on your charging stations. While your guests charge from your stations, you'll recoup the electricity costs with their payments. The revenue made on your charging stations can often cover and even exceed your monthly costs during high seasons. Offer potential visitors the opportunity to make the most efficient use of their time. In addition, you may opt to offer branded, personal charging cards to loyal customers. This will give them access to your charging stations and if preferred, make them eligible for a reduced fee and a 24/7 access with your own customer loyalty program. Our Smart Charging technology ensures an efficient use of the available power. Through our cloud-based management software and support service, we help you with the tracking and management of your charging station(s). We help you avoid overcapacity and maintain innovative charging that doesn't affect other electrical devices within your facility. EV-Box facilitates leisure and hospitality businesses such as Van der Valk, McDonalds, Douwe Egberts and Landal Greenparks. Interested in joining them? We'd love to help you! Learn more about our products and services at evbox.com or request a quote.